When will be True Magnum TV next episode air date? Is True Magnum TV renewed or cancelled? Where to countdown True Magnum TV air dates? Is True Magnum TV worth watching? Finally, a show that tests man and gear to the limits. 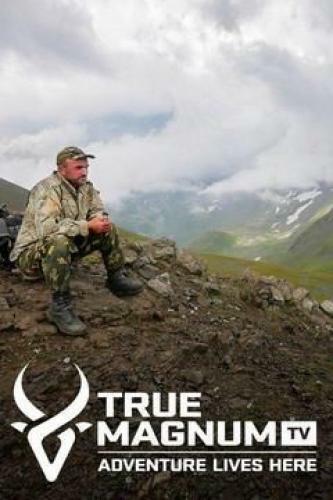 True Magnum TV's new format tells more of the story behind each hunt. It tells the story of the role hunters play in conservation, the adversity they face in the remote places and foreign countries they visit, and the cultural components that play into the large and small pieces of each hunt. Join internationally renowned hunters Bo Morgan, Rob Dunham, and James Brion as they take you inside the original extreme sport – mountain and wilderness hunting at its finest. Bo Morgan is just about to admit defeat when opportunity crosses his path in the hunt for the newly designated Baja Blacktail. James Brion treks through the British Columbia wilderness in search of Moose, with a capital M.
Bo culminates a Baja Blacktail hunt with a fiesta; James tests his horse while searching for a legal caribou in BC; Bo arrives in Myanmar, where it will take all of his knowledge and experience to move the project off ground zero. Bo Morgan investigates Myanmar species while visiting in hopes of opening hunting that will displace the black market wildlife trade; James Brion trails two days through the Stone Mountain area to arrive at the winter home of the Moose Master. James Brion takes an elk in British Columbia but quickly learns he will have to stand his ground to keep it. Bo Morgan learns that Myanmar will hold it's own set of problems that will need to be overcome if he is going to launch a successful program. True Magnum TV next episode air date provides TVMaze for you. EpisoDate.com is your TV show guide to Countdown True Magnum TV Episode Air Dates and to stay in touch with True Magnum TV next episode Air Date and your others favorite TV Shows. Add the shows you like to a "Watchlist" and let the site take it from there.